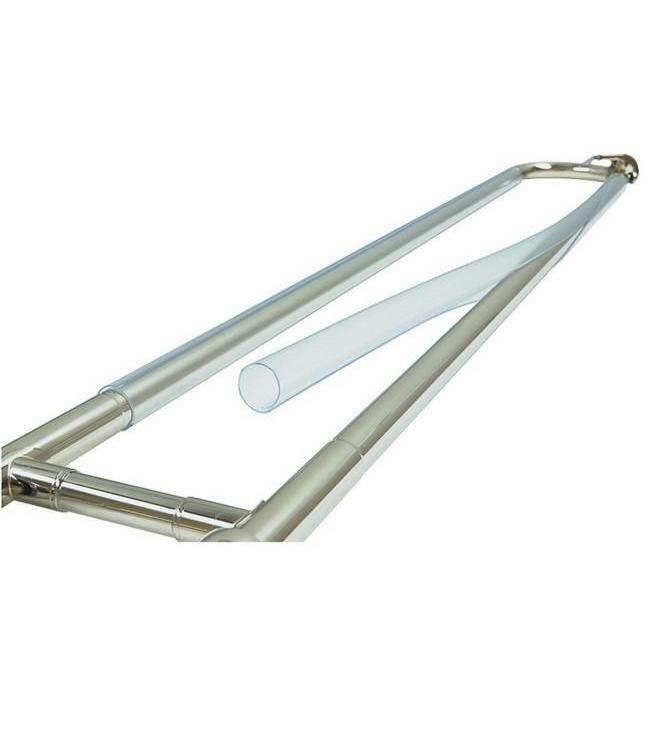 Trombone Slide Saver Clear plastic Slide Savers protect outside slides from damage. Easy to install and remove, these inexpensive protectors are well worth the investment in saving repair dollars to slides. Great for rental instruments. Fits tenor, bass and large bore instruments. Individually packaged pair.